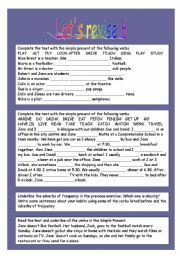 A revision of pronouns, possessives and questions for pre-intermediate ss. 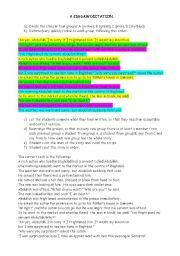 It ia a set of graded exercises with indications about how to use a dictionary. 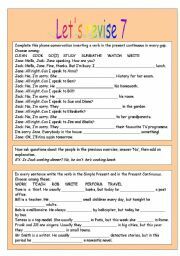 A part of some of the exercises are in Italian, but these sections can be erased and international teachers can use the parts of the exercises in English. 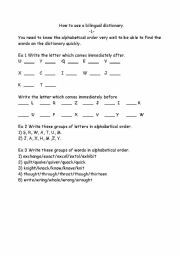 It´a a reading-writing activity: students have to work in groups and it´s very useful for mixed-abilities classes (even weaker students can take part). Students have to cooperate to solve the task. 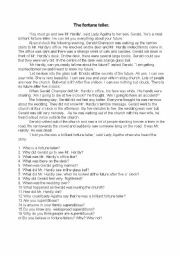 Normally it´s a challenging activity, which ss like very much. Let´s revise 7 present continuous - simple pres or pres cont? 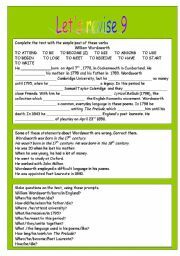 A short biography of William Wordsworth used to practise the simple past affirmative, negative and interrogative. 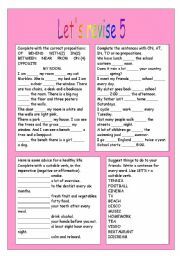 This is a worksheet about irregular verbs to compel ss to study them. 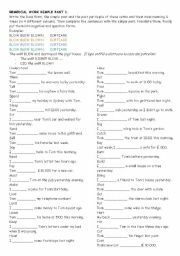 It is in two parts: first one verbs with 1 or no change, second one verbs with 2 changes. 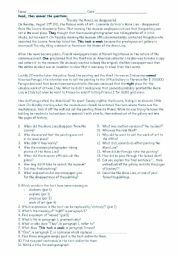 A reading text with comprehension questions, suggestions for personal writing production and some reflections on the language. I find this kind of exercises very useful.